PALM BEACH, Fla. — Former Republican presidential candidate Ben Carson, a Seventh-Day Adventist who Donald Trump once attacked as “pathological” and “low energy,” endorsed the Presbyterian-identifying billionaire business mogul on Friday morning. Last November, Trump said on the campaign trail that Carson has incurable “pathological” issues, which he compared to a child molester. While campaigning in Iowa the month prior, Trump sought to distinguish himself from Carson’s Seventh Day Adventism in advising voters that he is more mainstream. But during his endorsement today, Carson said that was all in the past. 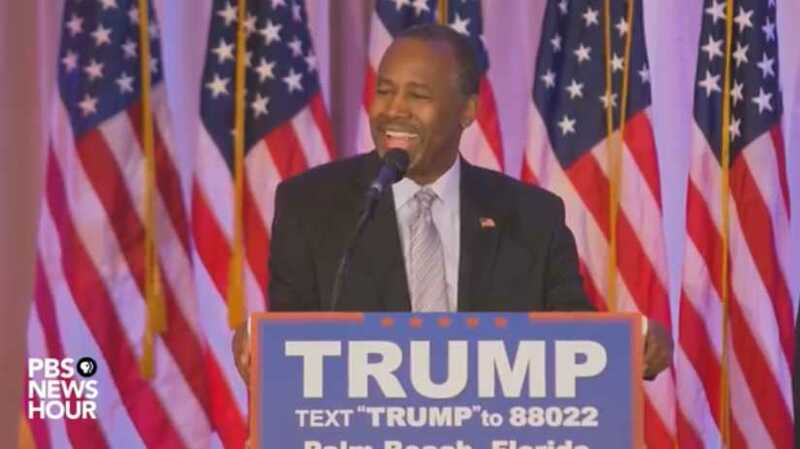 Carson said that he prayed about endorsing Trump and believed that God was in the decision. He said that he also used his own reasoning to come to the conclusion as he feared the ramifications of a Democratic win. Carson had suspended his campaign last week after an unsuccessful run in the primaries.